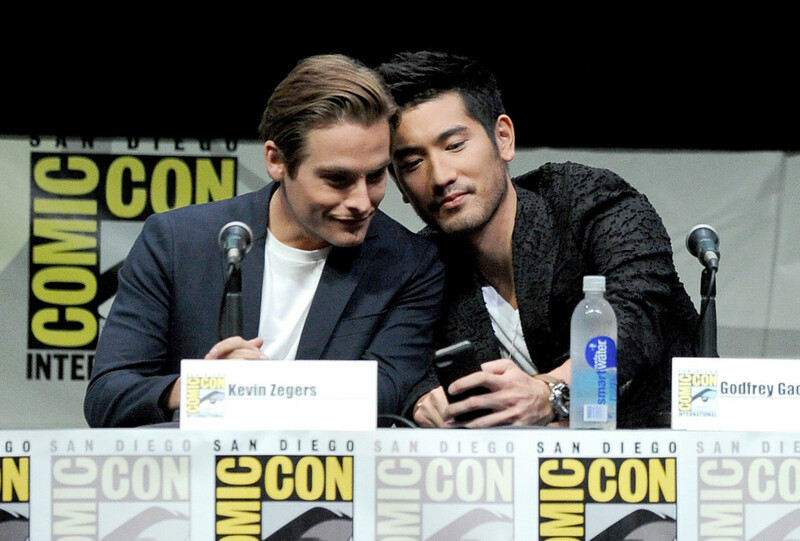 Godfrey Gao and Kevin Zegers [Comic Con 2013]. . HD Wallpaper and background images in the Alec & Magnus club tagged: the mortal instruments city of bones magnus bane alec lightwood malec. I'm wondering what is on that phone that has them in the cutest moment ever.